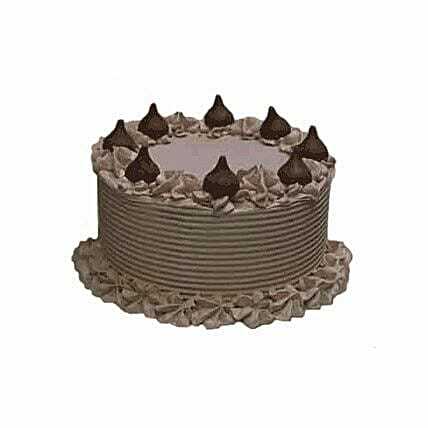 For the special chocoholic in your life, this cake is designed to give ultimate chocolate satisfaction. A rich and moist cocoa sponge smothered in thick creamy chocolate icing and decorated with large luxury chocolate drops. Mmm... heaven!